In addition to Z-Wave LinuxMCE 0810 will ship with interface to the EnOcean. EnOcean devices use proprietary and non standard wireless protocol (non either Z-Wave or ZigBee). But they have a few good advantages like compact size, low energy consumption and they are self powered! The EnOcean devices take power using solar cells, motion, thermal, rotation or vibration converter. The new interface – EnOcean_TCM120 uses TCM120 as gateway to communicate with sensors, switches, dimmers. The interface is based on the EnOcean LGPL library. If you can’t wait 0810 you may try to get the EnOcean LinuxMCE interface code from SVN repository and compile under 0710. Theoretically it should work. 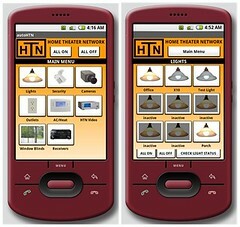 eHomeUpgrade recently posted a nice example of using Google’s Android in home automation. The project is called AutoHTN and developed by Home Theater Network (HTN). The new software allows to consumers automate and control lighting, security sensors, cameras, electrical outlets, thermostats, streaming video from a HTPC, window blinds, and receivers from mobile phones. Sure the mobile phones should support coming soon Android. To work with multiple automation protocols such as Z-wave, UPB, and X10 AutoHTN uses the xPL automation protocol. The video streaming is done with VideoLAN, which allows to stream video even via Internet directly to mobile phone with installed AutoHTN. The AutoHTN looks really cool. But Android is not yet released, there is no any Android powered mobile phone and it isn’t clear will be AutoHTN is free or we should spend some money to pump our mobiles. In any case, it’s good example of application of revolutionary Google’s technology. NetBlender is planning to integrate iPhone/iPod Touch with BD-Live Blu-Ray players. The new technology is named BD Touch. It’ll allow to consumer to use iPhone/iPod Touch as remote control for Blu-ray player as well as receive to the Apple’s device some media content, including advertising (I know that people hate it but what can we do? Producers want make money and DB Touch might give them a good opportunity). iPhone or iPod Touch can use WiFi connection of services offered by AT&T to communicate with the player. Developers will able to create new BD Touch applications or integrate Blu-ray players into home automation systems using SDK, which is gonna be released as well. So, it seems that Apple’s gadgets became more and more popular and commonly used. I’m not surprised. 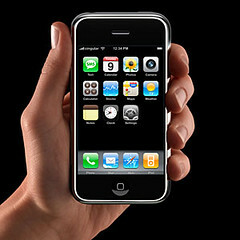 iPhone offers the best user interface which can be applied in many places. The 5500PCU is available at price $328.71 as well as RS232 version. P. S. LinuxMCE doesn’t support C-Bus at all. There is a topic in the forum with request of support that technology. The easiest way is to create a GSD software interface but to do that you have to know the protocol description. VidaBox well-known producer PC based home media centers announced its new software – vCommander. vCommander helps to developers create an interface between their systems and VidaBox services and clients. 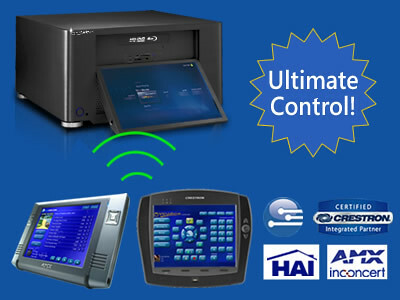 The software is oriented mostly on AMX, Crestron and HAI (it includes pre-built templates for those systems). But vCommand can be used with any TCP/IP & RS-232 control system. direct access VidaBox interface navigation. Personally, I like that tendency when producers of different systems offer a simple and clear interface between them based on common protocol (TCP in that case). It’ll make a life of integrator much easier.